Certified Renewable Energy Specialists (CRES) combines his or her knowledge of the different sustainable, renewable energy sources into one field of Green expertise. Reality is, that understanding how to conserve energy through the use of solar and wind sources is not optional anymore, but necessary. A Certified Renewable Energy Specialist (CRES) must be able to understand and implement strategies for relying on the emergent generation of technologies which will be employed to provide energy for the power grid over the next 20 years. Renewable energy job opportunities will be awarded to those who show he or she has the most education and experience in the field. As with any national exam, practitioners have to qualify voluntarily to meet the set standards found on a certification exam. 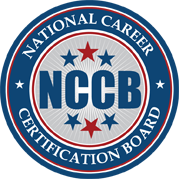 Attaining the National Career Certification Board’s (NCCB) Certified Renewable Energy Specialist (CRES) designation will provide employers and clients with credentials that indicate your level of expertise in the field of Renewable Energy. The benefits to becoming a Certified Renewable Energy Specialist (CRES) may include more job opportunities, higher wages, and increased job security.